Sneak into Katharine Pooley’s Colour Trends of 2019. Looking for summer fun in the pool? You don’t need booze or bizarre decorations to create a fun-filled pool party. What you need, actually, is a pool float. 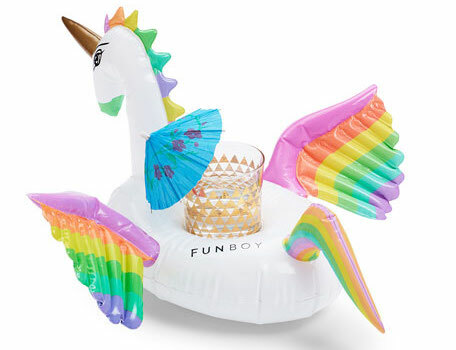 The inflatable raft alone can get your party started with its fun and cool shape, for example, that comes in the form of a doughnut, cactus, duck or flamingo. The floating object also contains a fabulous Instagram aesthetic, which is perfect for sprinkling the picture of it all over your social media feed. 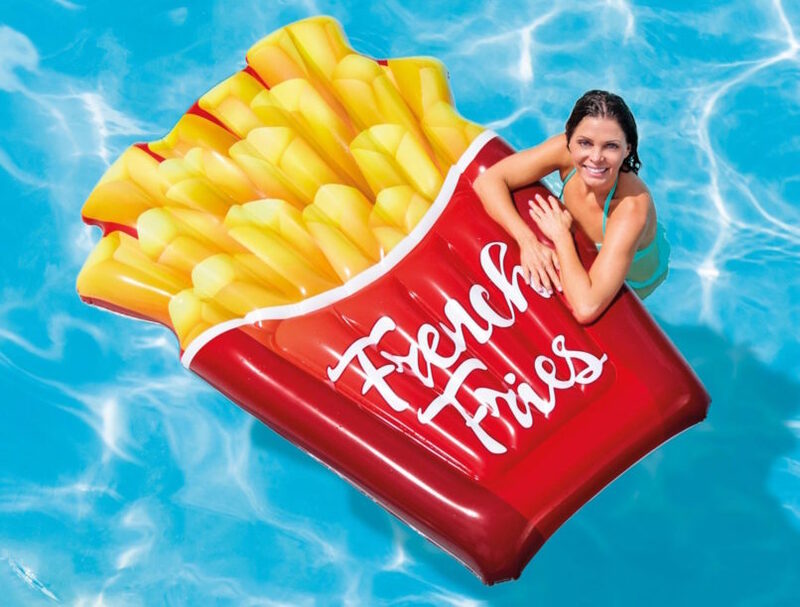 This summer, those looking for a statement piece to add to their pool or a cool float to take to the beach, we’ve curated a list of 8 pool floats you need to have in possession. Dope and stylish, you know you will need at least one of them to add a splash of beachfront beauty to your pool. If you haven’t noticed already, anything unicorn has been creating a buzz all over social media in the past few years — think unicorn cakes, unicorn milkshakes, unicorn clothing and even unicorn pillows. And of course, the Unicorn Pool Float (approximately THB 1,800) has been a part of this unicorn sensation. This magical woodland creature can add a mythical charm and dreamy style to any pool gathering or beach trip. It’s also very comfy to sit on thanks to its spacious back. Narwhal is the real unicorn of the sea. If you want something real than the mythical unicorn mentioned above, the Narwhal Pool Float (approximately THB 1,800) is the one to go for. The pale blue hue will bring some beachy beauty and grace to your pool with its friendly-looking features. They say dipping fries in a milkshake is the best way to enjoy them. Well, we disagree. Floating them on water is actually way more fun. Try this French Fries Float (THB 1,199) at your next pool party and watch people go bananas for it. If your uninteresting pool doesn’t look inviting, make it look appetizing just so that people want to dive right in and get the party started. 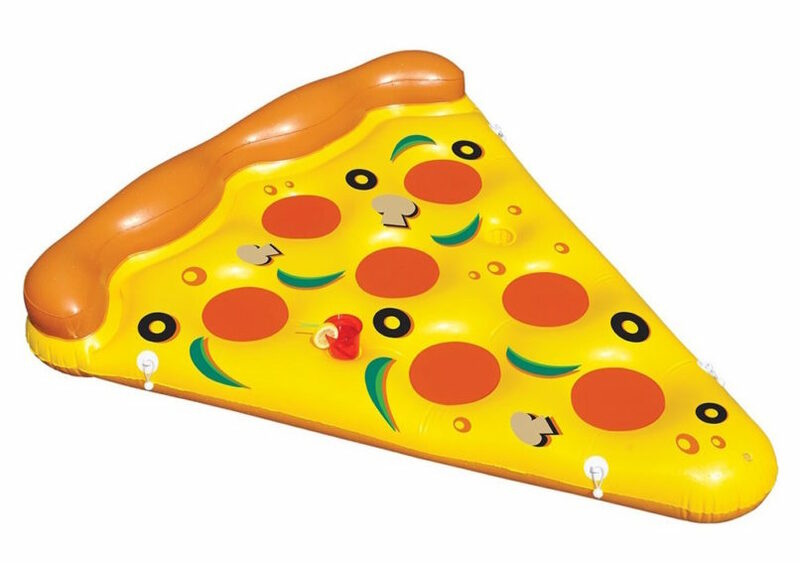 All you pizza devotees can also let this Pizza Pool Float (THB 1,290) display your love for the meaty slash tomato-y pie; it is a nice way to let your folks know your favourite food too. 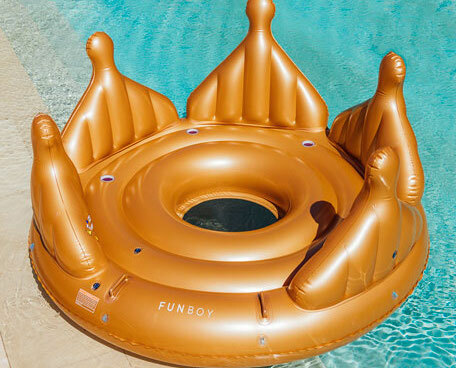 Kings and Queens, this is the pool float for you. This four-seat Royal Crown Island Pool Float (THB 9,039) is perfect for a party with friends and even for a family pool day. With cup holders to keep your drink stay secure throughout the ride, you need no convincing on this one. Don’t let drinking keep you away from the pool. 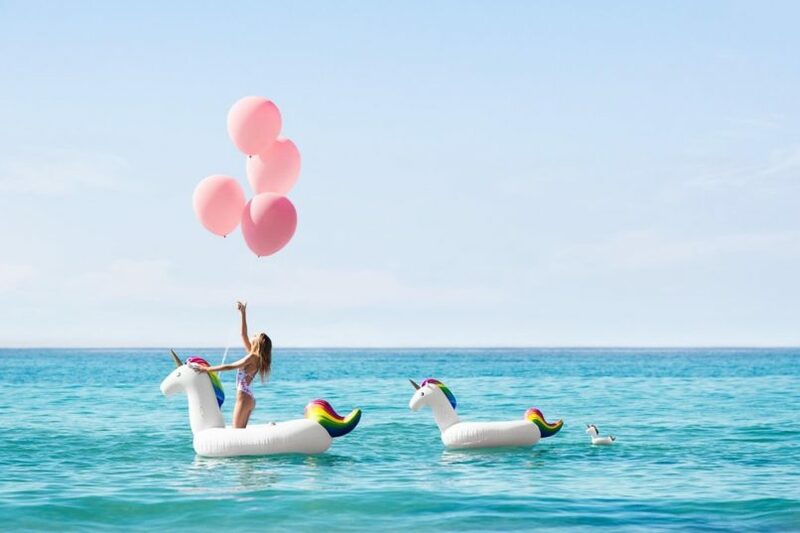 Get this Unicorn Drink Holder Pool Float (THB 806) and you’ll be able to combine the two finest leisures in life, that is, floating gracefully while drinking merrily. Its rainbow wings and white-as-light body can hold one standard-sized can and cup nicely, so you do not need to worry about spilling your water — or booze – into the water. Ladies, you don’t need to be an angel to get wings. Here’s your time to shine — in the pool — with the Angel Wings Pool Float (THB 4,301). 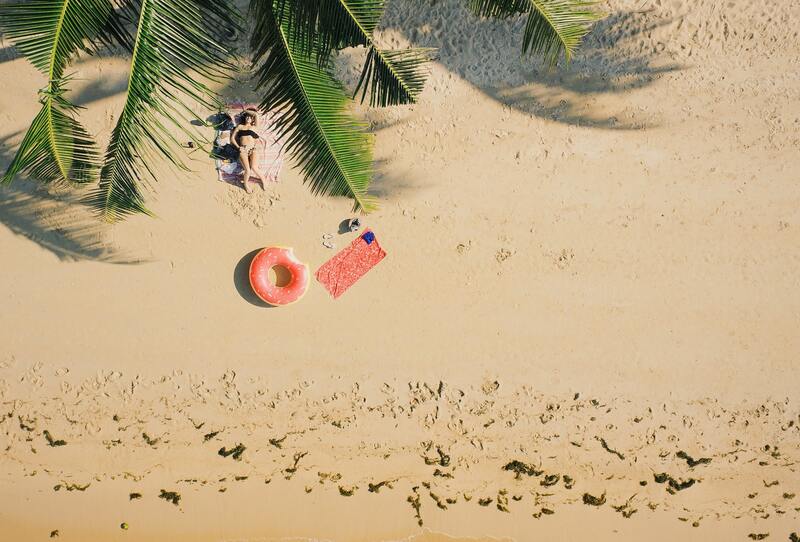 Let the floating wings gently envelope your swimsuit-wrapped body while you’re sunbathing in the pool or being rocked softly by the sea’s waves. People say girls are born with mermaid syndrome — which sounds like a sickness, but in truth? It’s a pure blessing. The dream of becoming a mermaid and diving into the deepest parts of the ocean can simply set us girls free. Oh and also the tuneful singing voice. See, there’s really not much to hate about a mermaid. 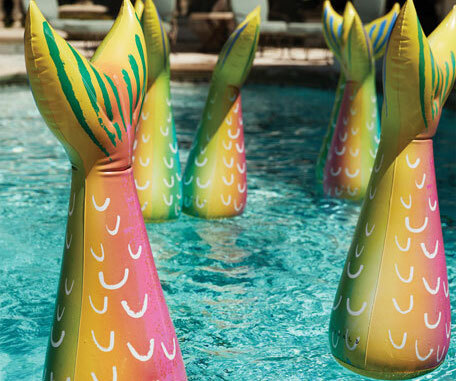 So if you have a little girl running around the house, dreaming of one day becoming a mermaid, don’t just get her an outfit, but fill the pool up with these Donald Mermaid Tail Bobber Pool Floats (THB 2,319) just so that your baby girl can live her fantasies even more vividly.